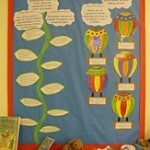 In English children will be learning from traditional tales and how to write instructions. They will be studying the poetry of Julia Donaldson. In science children will study the topic of everyday materials. In design and technology they are exploring building structures. In computing they will use a range of approaches to develop their understanding of algorithms and programming using unplugged approaches, onscreen and physical devices such as BeeBot. In dance children will interpret the story of Sleeping Beauty through movement, based on the music by Tchaikovsky. 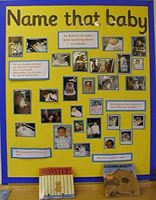 In religious education children will be focusing on the importance of special places where they can enjoy being part of a community such as club venues and churches. This will include a visit to a local church to learn about how it works as part of the community and what it stands for. 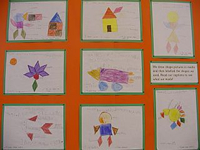 They will also learn about the religious symbols of the Christian church. 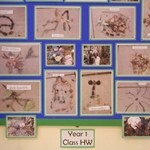 In art children will be investigating the qualities of a variety of natural and man made materials. They will learn skills for weaving and gain sensory experience of materials and an understanding of colour and texture. In geography children will be learning about countries and capital cities in the UK and comparing Shunyi in Beijing, China, with Hoddesdon. In music children will be exploring pulse and rhythm. In science the children’s topic Animals including Humans focuses on what their body is like, investigating their senses and comparing the structure of common animals. In English they will be studying stories and poems with a familiar setting such as home or friends or pets. 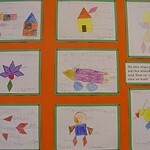 The children will be exploring poems written by Shirley Hughes. 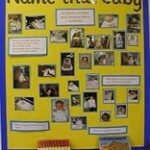 They will also be learning to write labels and captions for images. 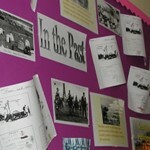 In computing children will learn how to use the functions of a computer to create their own digital texts and images. In geography children will be exploring the surroundings of our school. In history children will be learning about significant events in the past, including the Gunpowder Plot. Their studies will be supported by a visit to the Gunpowder Mills, Waltham Abbey on 13th November. In art children will be studying portraiture and in design and technology they will be exploring textiles. 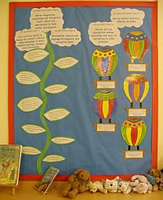 In religious education they will be focusing on the beauty and wonder of nature and how Christians thank God for this, and will also explore the celebrations of Harvest, Christmas, Diwali and Hannukah. In music children will be exploring sounds and how they are made and heard. In science children will be studying plants. 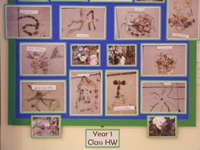 Through this unit children learn about plants as living things which grow and change. They will become aware of similarities and differences in plants, as they learn the names and structures of a variety of plants. In history and geography children will be learning about the seaside. 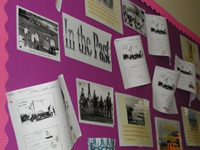 Their studies will include learning about the history of seaside holidays and learning about the geographical features of seaside locations. A visit to the Sea Life Centre and beach at Southend will help to enrich their studies. Their English studies will include the poems of Michael Rosen. 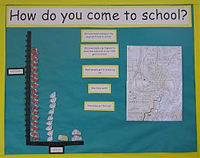 In Computing children will be using computer programmes for representing data and for data handling. They will also use data logging devices to explore environmental conditions, linking this with their science topic. In art children will be investigating sculpture. They will look at the work of Henry Moore and Andy Goldsworthy and make their own sculptures using a variety of materials. In design technology children will develop an understanding of simple mechanisms through designing and making moving pictures. In religious education they will learn how signs and symbols are used to represent our ideas and groups that we belong to, and the importance of the religious symbols. In music the children will be looking at how music and sound can communicate meaning and information through a topic that looks at everyday sounds, sounds from nature and instrumental pieces. The children will also learn to explore and identify pitch. In P.E. children will be improving their coordination skills through playing different games and creating a dance with expressive movements.